Give your skin a healthy glow from within, with the Olay Total Effects 7-in-1 Day Cream. It helps fight the 7 signs of ageing, making your skin look and feel younger, not older by the day. Dark spots, wrinkles or pigmentation, this day cream from Olay is just what you need to deal with your skincare concerns. Available in a small 50g container with a dispensing pump, this cream easily travels with you. Made with a blend of skin-soothing agents like VitaNiacin, Anti-Oxidants and glycerine, Olay day cream soothes and nourishes the skin like no other. These ingredients work to fight ageing signs, giving you firmer and smoother skin. It is also fortified with SPF 15 to keep the damaging effects of UVA and UVB rays away from your skin. Olay Total Effects 7-in-1 Day Cream reduces the occurrence of dark spots, fine lines and wrinkles to restore the skin’s natural elasticity. It also works to reduce pore size and gives even skin tone, leaving the skin smooth and supple. Retaining just the right amount of moisture, it fights dryness without making the skin look too oily. Take a pea-sized amount of the Olay day cream and apply on face and neck in gentle circular motion. For better results, use with Olay Total Effects Cleanser. Olay is a product truly born from love, as it was created by a man as a gift for his wife. In the 1950s, chemist Graham Wulff saw his wife Dinah’s frustration with the thick, waxy beauty creams that left her skin looking greasy. Graham wanted to create a new beauty product for her that could not only moisturize her skin, but also leave her feeling beautiful and feminine. Together, Graham and Dinah fine-tuned everything from absorption and texture to the instantly recognizable fragrance. At last, the legendary Oil of Olay Beauty Fluid was born. Today, Olay is one of the most recognizable brands in the world and is the World’s No.7 selling facial skin care brand. Yet through all the changes and innovations, the philosophy upheld by Graham Wulff remains just as relevant as ever: Help women look and feel beautiful. That’s a potent formula for success. Olay is committed to providing safe products to our consumers. Ensuring the safety of our products is a responsibility that Olay takes very seriously. Each year, Olay conducts over 400,000 safety and quality tests to ensure an excellent experience for women around the world. 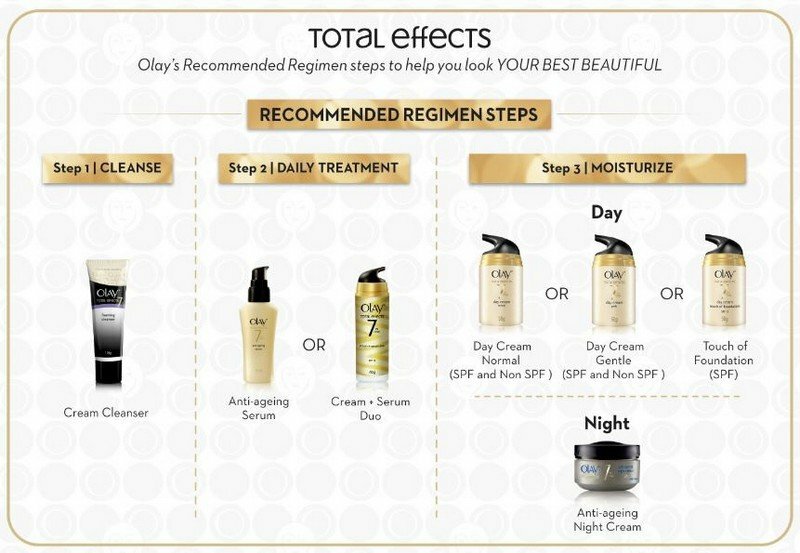 For more information about the safety of Olay products and ingredients, please go to http://www.pgbeautygroomingscience.com/safety.html.